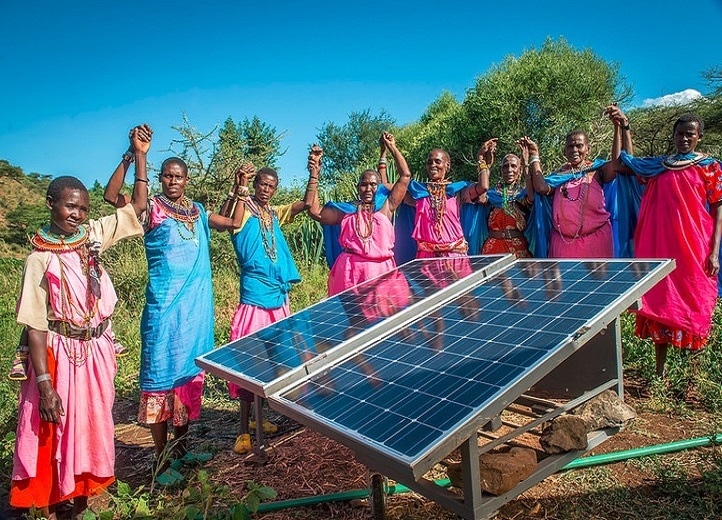 A community in Kenya celebrates a solar installation. Adoption of solar power and microgrid technologies has been on the rise in frontier and growth markets. This trend results from declining equipment costs and increasing support from development funds, government programs, and impact investors. But there is much room to fill. There are as many as 1.1 billion people around the globe who still don’t have access to a reliable supply of electricity. Microgrids can help address the issue without expensive transmission and distribution infrastructure. The global microgrid market has been growing at 20%+ compound annual growth rate (CAGR). According to Bloomberg New Energy Finance, island nations alone announced over 15 upcoming projects during winter 2017. They are piloting projects that combine battery and renewables technologies from various vendors. Summit panelist Maxine Ghavi, group senior vice president and program director for microgrid at ABB, said much microgrid deployment is now taking place in Africa, Australia, Southeast Asia, Europe, and the United States. These microgrids are sometimes connected to the grid but may also operate without it. Microgrids are becoming more and more economically viable as the costs of renewable assets and storage decline. Ghavi said that for frontier markets, when you are dealing with smaller installations, it is important to have reliable ‘plug-and-play’ solutions that are simple to assemble. These can be commissioned quickly and efficiently. The panel touched on the increased global demand for diesel generators and their role in microgrid projects. This includes hybrid ones that emphasize renewables. The speakers said they agreed that with volatile fuel prices and growing health and environmental implications, the $4.8 billion 2015 generator market is not likely to sustain its growth. Microgrid Investment Accelerator suggests that current pace of microgrid solutions’ expansion will need to double if we are to achieve universal electricity access by 2030. The population of Nigeria is anticipated to be larger than that of the United States by 2050. Africa as a whole has been adding over 30 million people per year. But while this is a substantial challenge, it is also an opportunity that rests on fast and smart deployment of applicable technologies. Securing funding for such developments, particularly for local-level projects, is not easy. Panelist Jake Cusack, managing partner at CrossBoundary, said payback time on microgrid systems is typically over 10 years. That is much longer than that for the solar home systems. This affects the way these projects are financed. Cusack said that microgrid companies have to charge a lot per kWh – in some locations, close to $1 – because revenues are often very low due to the customers not using much power. While average daily energy use for a household in the United States is 30 kWh, that could be the monthly electric consumption for families in Africa. Local currency rates create an additional challenge. A recent report from International Institute for Environment and Development (IIED), “Delivering Real Change: Getting International Climate Finance to the Local Level,” looked at 12 climate funds and 4 development funds to identify the state of financial flows into local projects. The report said channeling climate and development finance to the local level is still far from the norm. This occurs despite the many observed benefits of such funds’ deployment. Ineffective oversight of participatory processes. Traditional multilateral-development banks do not take on smaller projects because their transaction costs are high, the report said. A range of creative financing mechanisms are available through third-party and government financiers, but few of them have been deployed. The tolerance for risk is still low. The report said most funds enjoy larger projects due to the tons of carbon dioxide they can eliminate or the easy-to-quantify amount of private capital their climate-mitigation assistance was able to activate. Clean Technology Fund (CTF) and Green Climate Fund (GCF) don’t currently deploy any metrics to evaluate tangible community improvements. One such metric would be the number of people who now enjoy electrified households. It is possible capital suppliers or the national agencies handling allocation of funds may be setting up goals that do not appropriately reflect interests of the local populations, the report said. The accountability line can become unclear. Often, the third-party financiers may be accountable for setting and achieving the goals. Working with governments on local projects’ co-financing to alleviate some risks often eliminates the opportunity to hear from the most vulnerable communities, the report said. A national-level approach is less efficient. It doesn’t provide access to individuals who are aware of what’s happening on the ground and can facilitate outreach and engagement of the local stakeholders. Let’s consider India government’s ambitious goal to achieve 100 percent village electrification nationwide by spring of 2018 (particularly through its Decentralized Distribution Scheme). According to the Bloomberg New Energy Finance Q2 2017 Frontier Power Market Outlook report, India’s government marks a village as ‘electrified’ once 10 percent of households and some public spaces, like schools, have access to electricity. However, that metric could be called into question. IIED’s report said there is vast evidence that local programs can deliver “more sustainable results at lower costs, developing local capacity and generating local economic development benefits” and improving community members’ wellbeing. Ideal participatory funding structures should represent a shareholder committee with national and local community representatives, which is not often the case today. Locally-established project selection and accountability structures like these as well as an international mandate for climate change finance to be channeled to local level would support this market in developing further. No such structure formally exists at this time. Large industry players like Enel SpA, Engie, General Electric, and others have been building microgrids to enable local power distribution for years, Bloomberg’s Frontier Power Market report said. Since such prominent energy players are at work, their legacy partner and customer networks can help enable the technology to scale more rapidly. Facebook and Microsoft partnered with a venture capital firm Allotrope Partners to establish Micro-Grid Investment Accelerator. This accelerator is mobilizing over $50 million ”to deploy catalytic capital into the microgrid market” between 2018-2020, the report said. The areas of focus are India’s 37-percent-electrified Uttar Pradesh and Bihar states, Indonesia and Tanzania. The Bloomberg report said that for Tesla, microgrids represent over 36 percent of the company’s total power-storage capacity deployed to date. It also reports that Engie, Schneider Electric, and Nanyang Technological University have partnered up to improve energy access in Southeast Asia. Engie is also bringing microgrid solutions to over 2.5 million people in Indonesia. 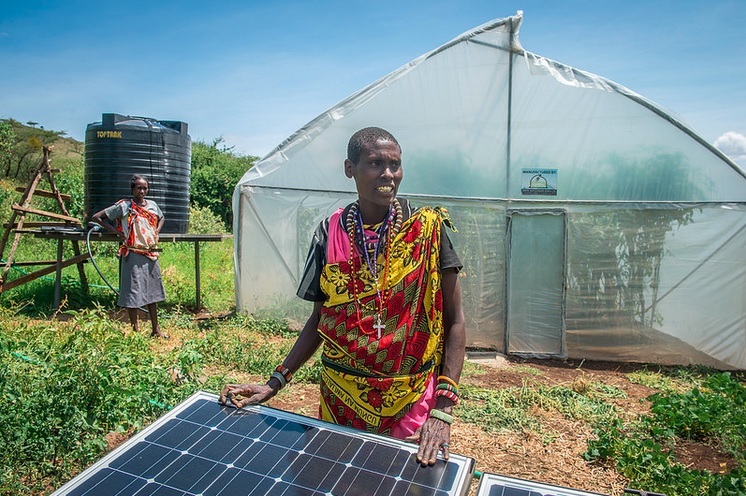 World Bank is currently funding a $150 million initiative in Kenya, helping those underserved by the grid to obtain access to reliable electricity, according to the Bloomberg report. Also, Sustainable Energy Fund for Africa provides grants. These have included an almost $1 million grant to Niger to promote green mini-grids. Bank of Industry (BoI) in Nigeria has unveiled a 1 billion naira ($3.3 million) Solar Energy Fund providing concessional loans at half the national benchmark interest rate to add to the already favorable micro-grid policies, the report said. The Bloomberg report also said US Agency for International Development (USAID) has awarded Community Energy Social Enterprises Limited over $750K to establish mini-grid solar installations in 25 communities across Nigeria. The IIED report said that World Bank’s Community-Driven Development (CDD) approach under International Development Association sources $1.3 billion USD per year to support 77 of the world’s poorest countries through grants and concessional loans for community-level projects.